his has been a great connection Kristin, I cannot thank you enough. The patients are truly appreciative and the smiles we get when they receive the gifts are priceless. It lifts their spirits, even if for a moment. What a miracle the journals have been! We need more! 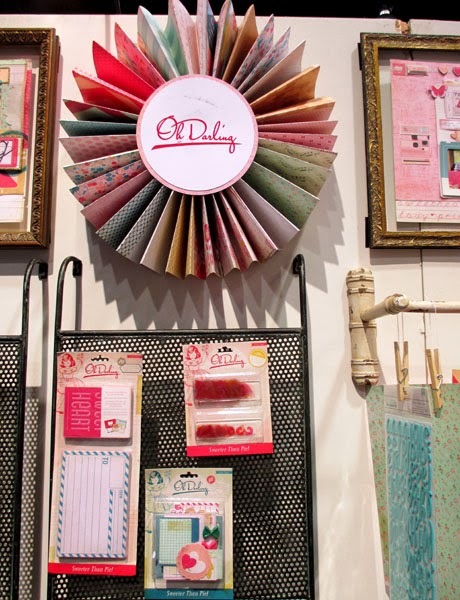 Pick up a composition notebook, some paper and a few embellishments and before long, a beautiful journal can be put together! 2. 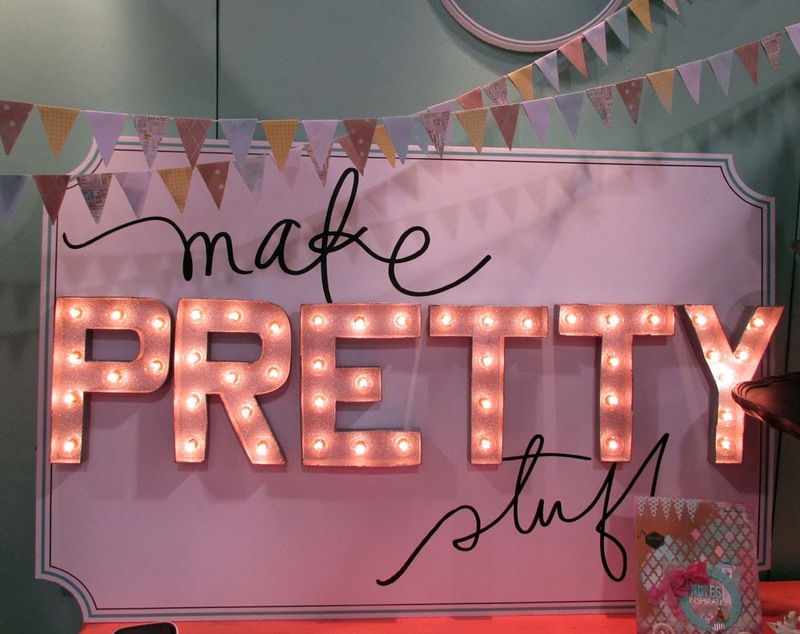 Stop by at our Make-n-Donate area during the show and use the available supplies and your creativity to put together a beautiful journal to donate. In addition to journals, at our March 2014 show we will also be collecting hats, blankets, card kits and cards for soldiers! Thanks SO much for helping out and getting involved!! 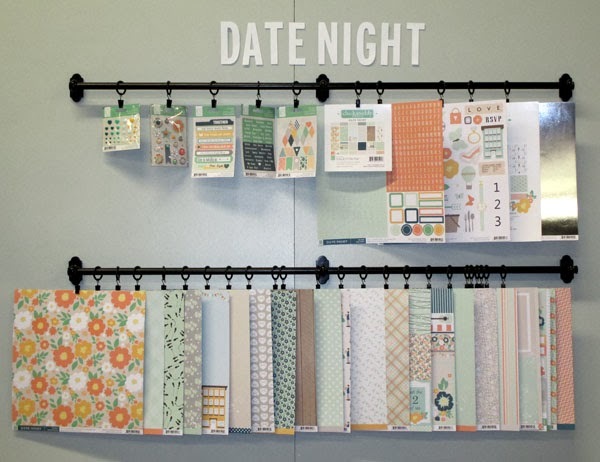 If you haven't been following the blog this week, I have been highlighting all this week the different opportunities we have found for us to work together at Scrapbook USA to give back to our community. If you have not been involved with our Care With Cards & Crafts program in the past, please consider putting something together and bringing it to the show in March. You can get an overview of things HERE. 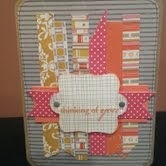 Earlier this week I highlighted cards for soldiers and card kits. Both are great! Today we are talkin blankets and hats! Hats: Without even asking for them, each show I have had a few donated. So, why not make it official! Huntsman Cancer Institute is always taking them so if you crochet, this one is for you. If you don't crochet, that is ok! 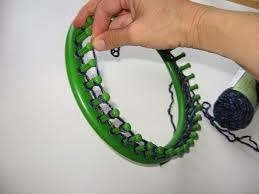 You can sew them or use a crochet hat loom. 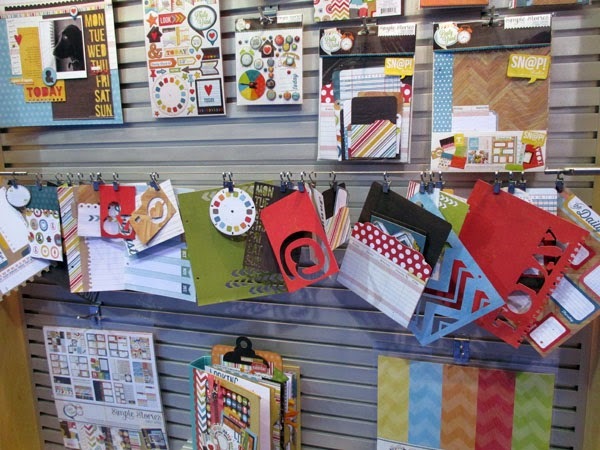 ALSO, stop by our Care With Cards booth and we will have a "Make-N-Donate" area. Sit a minute and do a couple of rows on one of our hat looms OR check out a loom and take it back to your table and while visiting with friends, take a break from scrappin and work on a hat. The great thing about the looms is that we can pass them around and everyone can do a few rows. Before we know it, we will have hats! One other note on that, if you crochet flowers, please make some and donate them. They would look great on the hats that we loom at the show. I can crochet hats but not flowers (I am a beginner) so some embellishments would be fantastic! Huntsman Cancer Institute & The Bone Cancer Center: A blanket is given to each new patient when diagnosed with cancer. Hundreds of blankets from Scrapbook USA Attendees have already been given as a comfort to these patients as they begin their new journey. 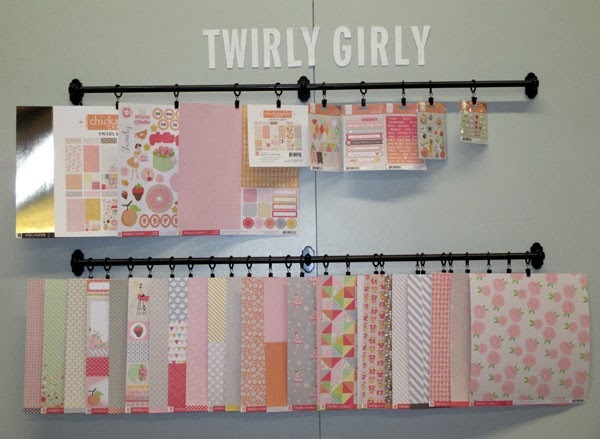 When selecting fabric remember there are kids and adults as well as male and female who are cancer patients, so a variety of fabrics are helpful. Used items cannot be accepted. Blankets and hats can be dropped off at the show to our Care with Cards & Crafts booth inside the show. Remember, for each item you donate, you receive a raffle ticket! Darling blankets! Can't wait to see what comes in this March! Thank you so much for the wonderful donations you brought yesterday. We have started passing out some of the journals and the patients have marveled at the creativity of the volunteers that put those together. Majority will go to our intensive care patients. The blankets are absolutely fun and festive. I know our infusion and bone marrow transplant patients will love those. I found the bags you mentioned, how cute and yes we can definitely add a blanket and other donated goodies to those to hand out to the patients. This has been a great connection Kristin, I cannot thank you enough. The patients are truly appreciative and the smiles we get when they receive the gifts are priceless. It lifts their spirits, even if for a moment. So thank you, thank you. 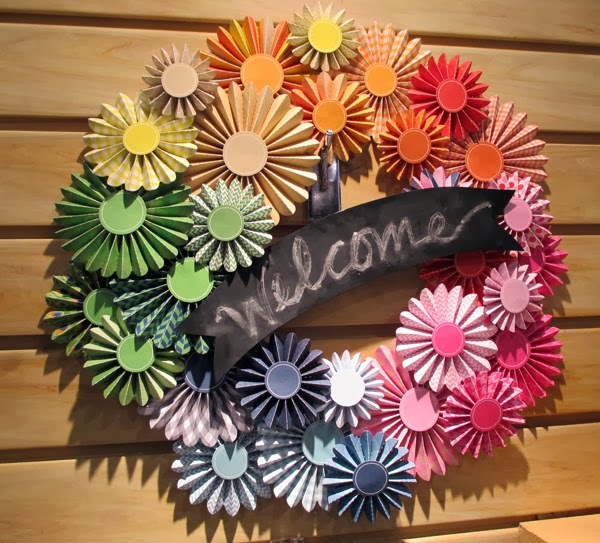 Please pass along our gratitude to all your crafters, they make a huge impact on the lives of our cancer patients. 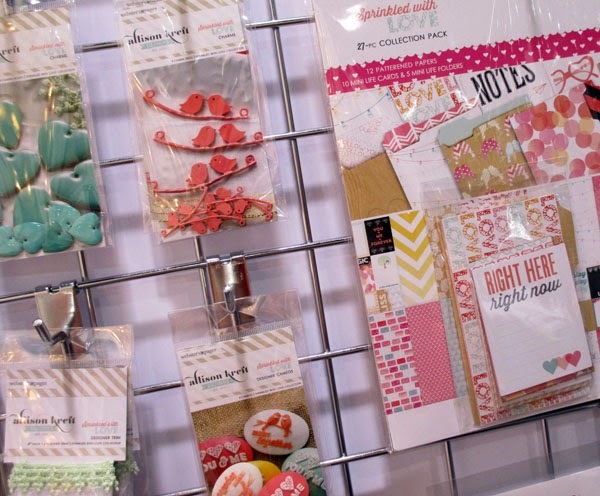 Thanks so much for supporting Scrapbook USA and Care with Cards & Crafts! See you March 28-29!!! Last April I was able to drop a few hundred card kits to the Juvenile Detention Center. I received an e-mail in the fall and discovered they were an absolute HIT! 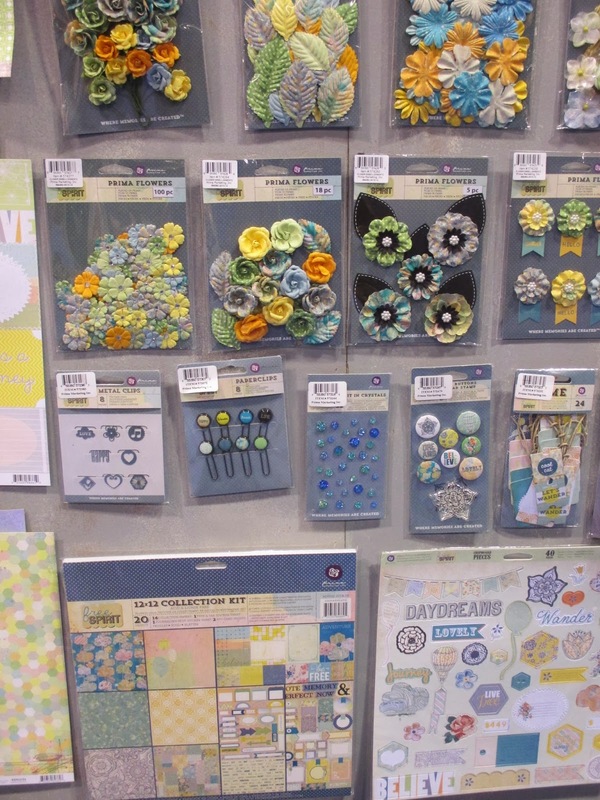 With these kits the young ladies are able to assemble a card and then write a letter home to a relative, friend or other loved one. I have a soft spot for the detention center's because when I was 16 years old I volunteered there for a summer and found it to be an amazing opportunity! I know these cards will be a real blessing in the lives of these youth and their family's! Kits are easy to do! Instead of finishing your card, put all the supplies into a ziploc baggie (sandwich size) along with a black and white photo (photocopy is fine) of what the finished card should look like. Easy Peasy! The nice thing is that you can make 25 or 30 of these and using an assembly line like process, get them bagged up and ready to go. My daughters love helping me with these. We have spent a few Friday nights working on these and hope to have a large box by the end of March. 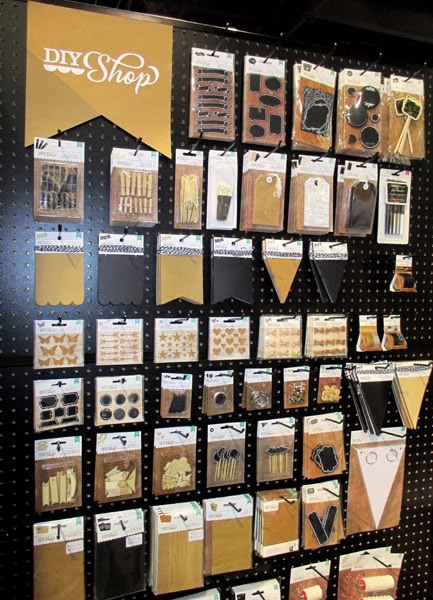 In addition to bringing your card kits from home, stop by our "Make-n-Donate" area at the show and work with us to get some card kits assembled and ready to go. Have fun with this and I can't wait to see the kits that come to the show this March! Operation Write Home is the most popular organization we have been donating to, and for good reason. They are top-notch! Millions of cards have been sent to soldiers through Operation Write Home and we are thrilled to support them. Cards for Soldiers is another fantastic organization. They are smaller but still serve the same purpose. The cards we ship are blank on the inside and are shipped straight to our soldiers who are able to pick them up for free and use them to correspond home with their loved ones. They are able to ship the cards at no charge through the US Postal Service. *NO GLITTER-It is a safety concern for the soldiers and they won't be sent. I get at least 100 every show that are gorgeous but also very glittery. No problem for the Juvenile Detention Center, so they are donated, but they will not go to the soldiers. 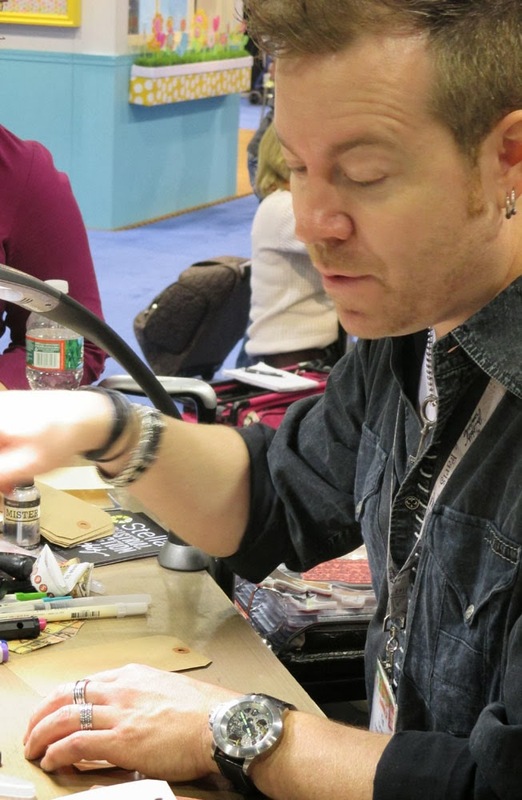 You can use stickles or glitter pens are fine as long as the glitter does not rub off. that does not rub off. *Nothing handwritten-if you personalize it on the back it WILL NOT be accepted by Operation Write Home but will be accepted by Cards For Soldiers. Just try to avoid this if at all possible. *Thickness- Remember these are shipped USPS, keep the thickness to a minimum so it can safely travel through the mail system. *Quality-Quality is much more important than quantity. Use quality product and make sure everything is adequately attached. *Include Envelopes-Please include envelopes if at all possible (white, cream or tan). *White Lining- If you use dark cardstock for the card, that is fine just please "line" the inside of the card with white cardstock so the soldiers can actually write inside the card with a regular pen. 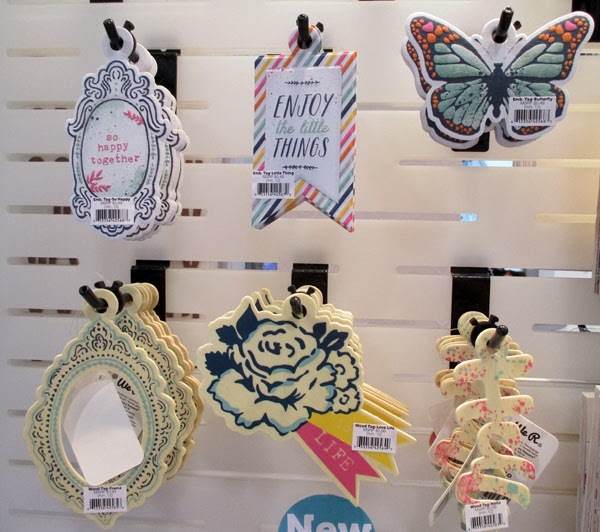 The best cards are those that have a long shelf life, meaning that they can be used at various times throughout the year. Remember: While there are many women in the military, there are more men. Try to keep the themes as "neutral" as possible since we do not know who giver is or who the receiver is. 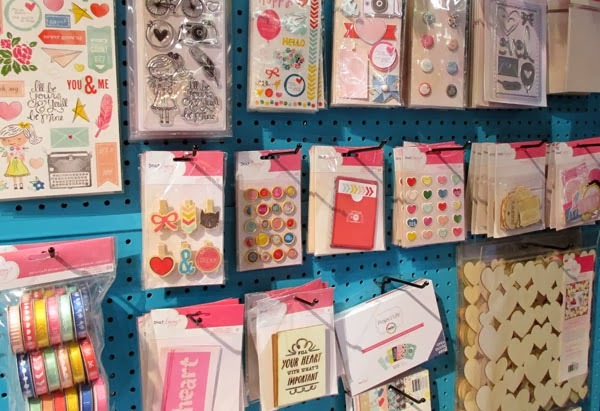 That does not mean that pink swirls are out, just make a blue card for every pink card :). 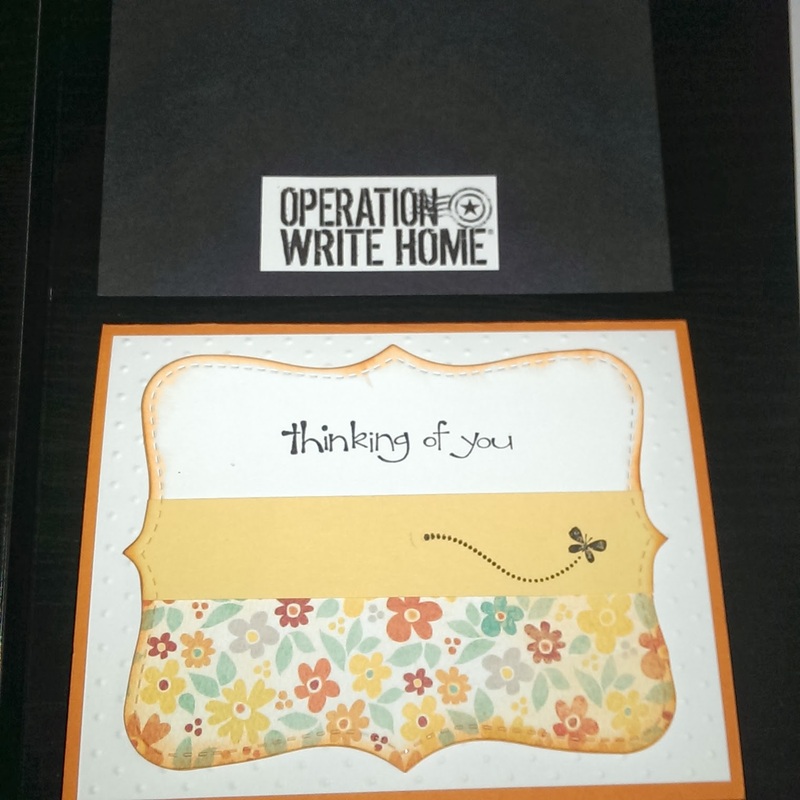 Each card that goes to Operation Write Home needs to be packaged a certain way with a stamp on the back. You are welcome to help out with this process at the show (in fact we would love it). Just stop by the Care With Cards booth and let them know you have a minute or two to give. 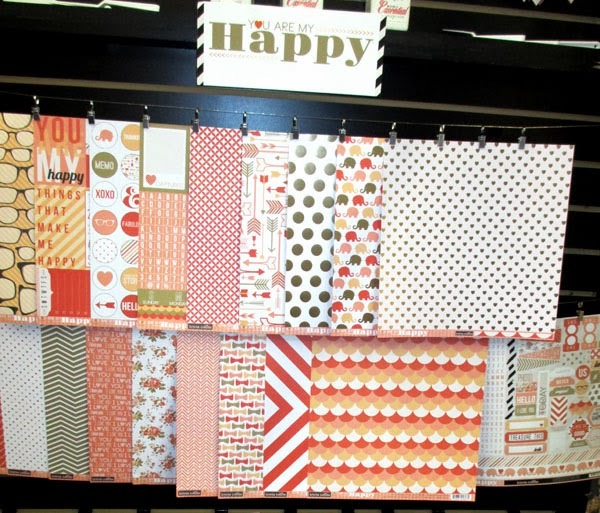 Care With Cards 2014- Lot's to be Excited About! 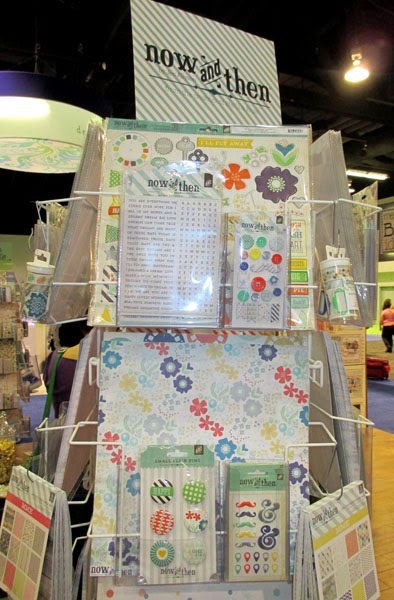 Care with Cards at Scrapbook USA Expo is now entering it's 3rd year at the show. It has been SO amazing! 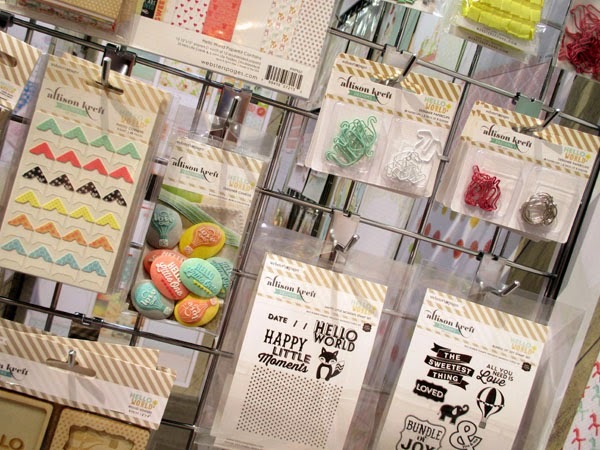 We have collected over 15,000 cards, card kits, journals, hats and blankets in just 2 years. A.M.A.Z.I.N.G! Thanks SO much for getting involved! We have been able to get involved with some incredible organizations who are doing alot of good in our community and throughout the world! This year we will be continuing with some of the same organizations as in the past as well as adding another new group that is also doing some amazing work. WOW! 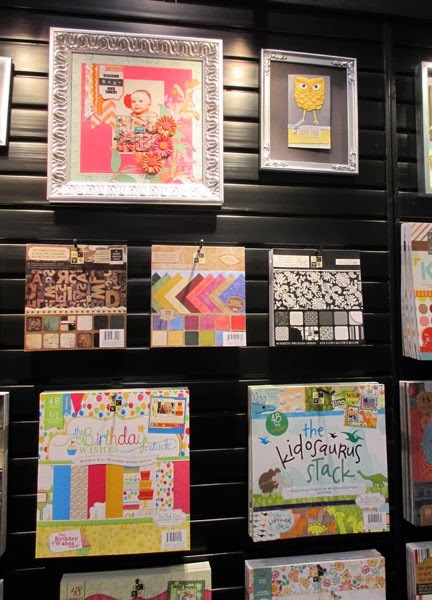 I know that the ladies (and gents) that attend Scrapbook USA are the best crafters in the world so I know we will be able to send some beautiful talent to these organizations! Each day this week I will be highlighting one of the above organizations and will describe their needs and share some ideas on what you can do now to get involved and have something to bring to the show. Plus! For every donation you make, you will receive a drawing ticket that may just win you one of the many great prizes we will have at the show including a TV, an IPAD, or a Kindle. Plus hundreds of other fun items that will be up for grabs! 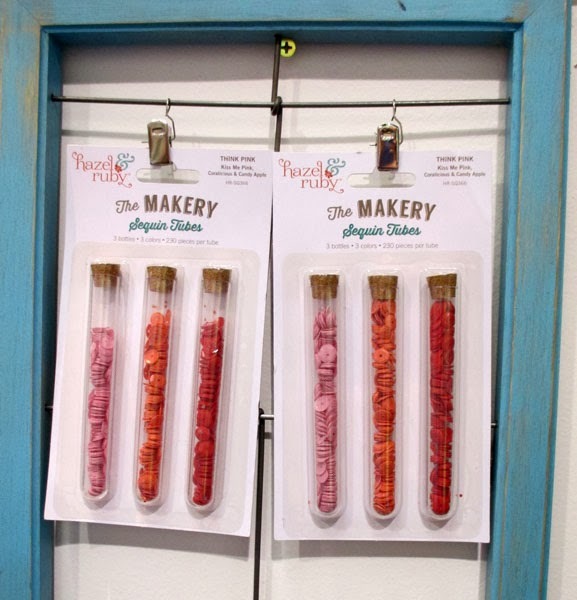 Make-N-Donate: Take a few minutes at the show and participate in a "Make-N-Donate". We will have all the supplies there, cut and ready to go. 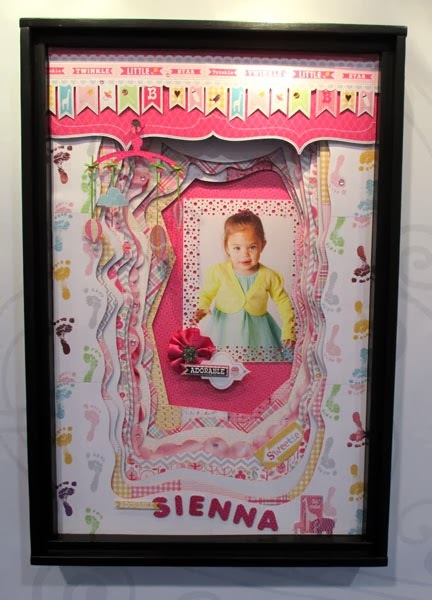 Just stop by and help to assemble a card or card kit to donate. It will only take a few minutes, will be alot of fun and there will be prizes for all that participate. Hat Looms: if you have a few minutes to spare while visiting with a friend, sit down and do a few rows on a hat loom. If everyone does a few rows, we will have ALOT of hats! You can sit in our Care With Cards (and crafts) area or check out the loom and sit at a table with your friends and visit while working on a hat. 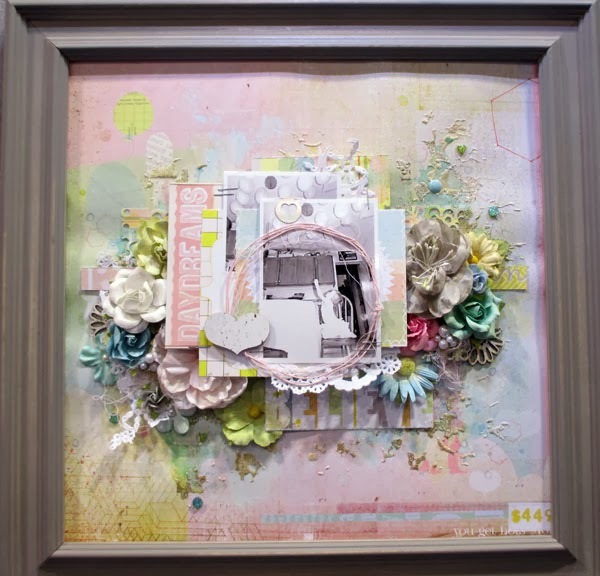 2014 Create A Card Challenge: Do you have what it takes to make a beautiful card with whatever supplies you are given? We will find out!! Enter at the show stage to have a chance to see if you have what it takes to WIN! 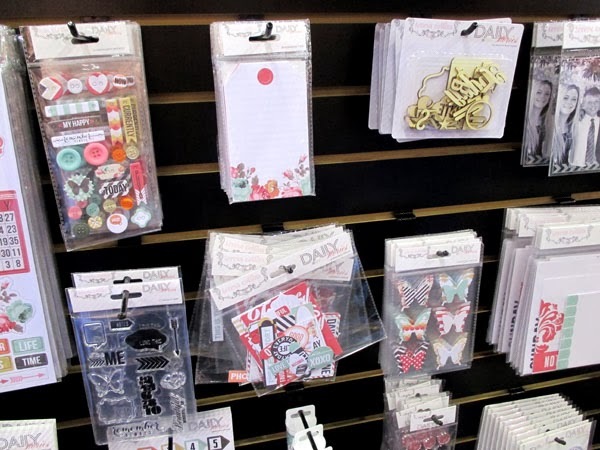 Each contestant will receive a kit of cardmaking supplies. 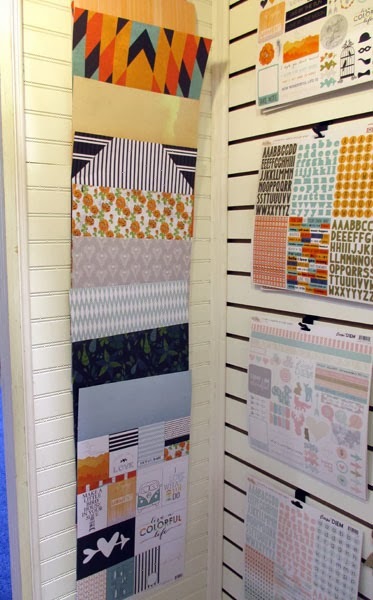 You can only use the items in the kit but they can be "altered" using products you have or products that are available at the show (ie adding the use of punches, trimmers, scissors or cutting devices is acceptable). You will have a "short" time limit to complete your card for judging. Prizes for all who dare to participate in this one plus all cards will be donated to Operation Write Home. Also, ALOT of stamping and organizing goes into getting the cards ready for shipping after the show. If you have 5 or 10 minutes at the show feel free to offer your "services" to help out our wonderful workers at the Care With Cards booth. 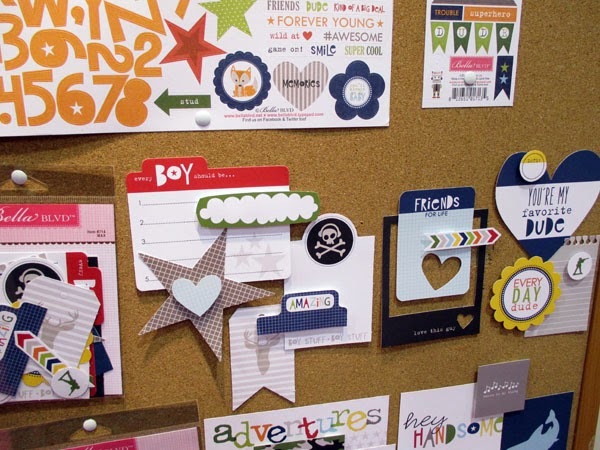 They will be busily organizing the cards by themes, stamping the backs and getting them ready for shipping. See You ALL March 28-29, 2014!! Our 2nd Annual All Night Crop Party is coming soon! If 9-5 isn't exactly your style maybe the All Night Crop is more up your alley! -Including Early Bird admission both days instead of just one. CHECK! You got it. -Dark and quiet room for a cat nap. CHECK! You got it. In addition, I have come up with a few ideas of my own that are sure to add fun and excitement to the All Night Crop! Expect a few surprises! This is an all inclusive ticket and is the only ticket you need to enjoy 30+ hours of scrapping, partying, shopping, games and FUN! I have no idea where you can get this much out of your scrapping experience for just $85.00!! Come at 9:00 am on Friday morning and stay until we kick you out at 6:00 pm on Saturday!! Sherry Mendoza is back as the All Night Hostess and she is bringing new ideas, new techniques and other crazy things that we will not talk about! 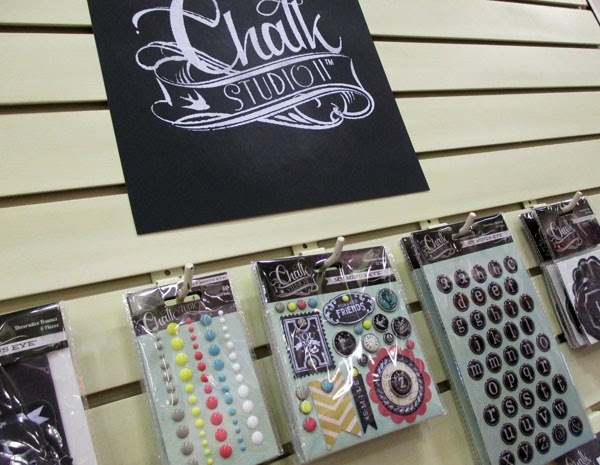 It's Wendi here again and I'm finishing up my winter CHA review for 2014. I've been a huge fan of this company for a looong time.. 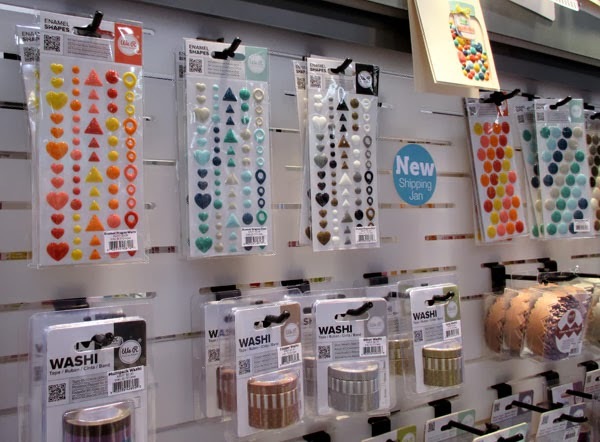 I swoon over their enamel dots, because they make me happy and look like candy.. LOL.. let alone their amazing lines. They had ALOT of lines this release so it was hard to photo them all. 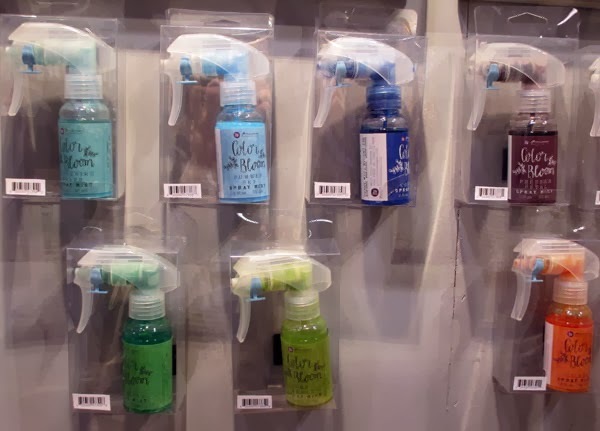 What caught my eye for the new Color and Bloom spray misting bottles. Which look like a ton of fun to play with. Their flowers and embellishments are always gorgeous. This company always manages to come out with cool new tools and products each year. 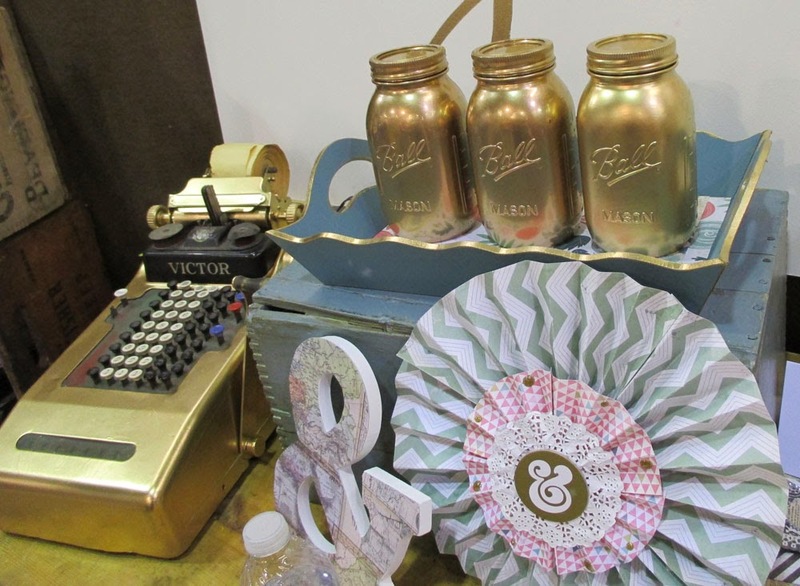 The Tim Holtz Distress Marker sprayer was amazing!!! I watched him demo it, and what a cool tool!!! 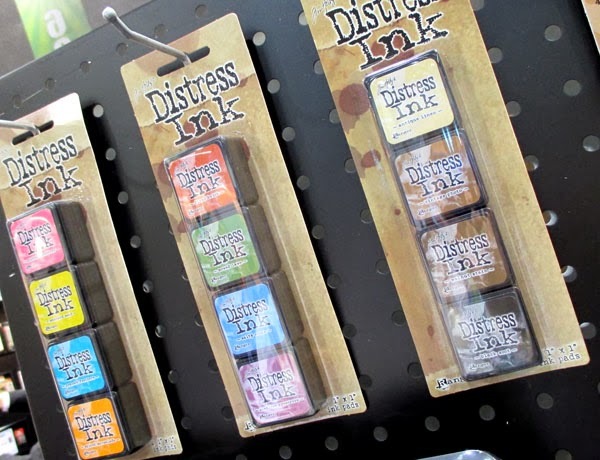 Also the mini Distress Ink pads and mini blending tools are at the top of my list to get. 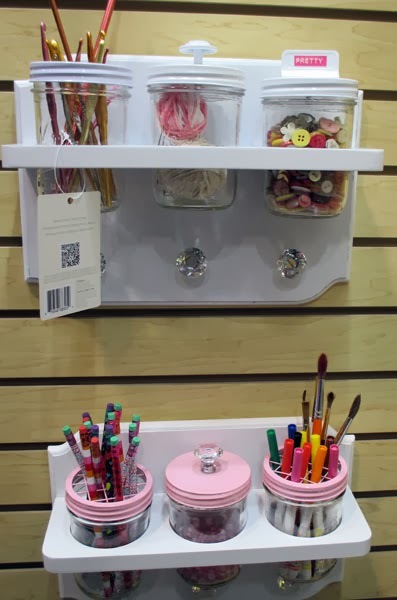 Not only does scrapbooking, but alot of various crafty items- iron ons, tie dying and they also offer a monthly kit. One of my newer favorite over the last couple of years. 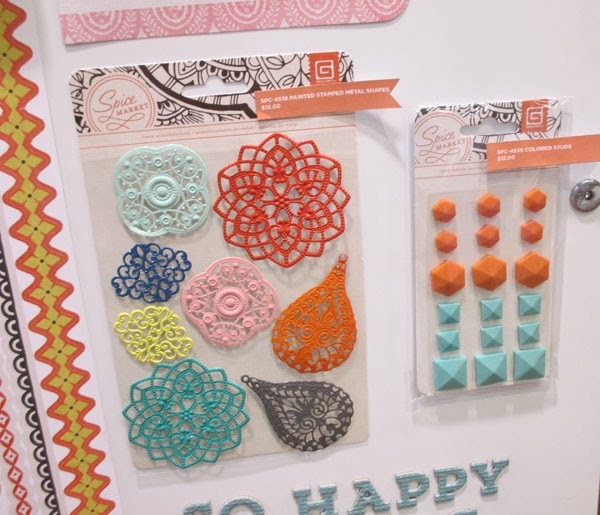 Tons of fun embellishments from the DIY line with lots of happy colors. 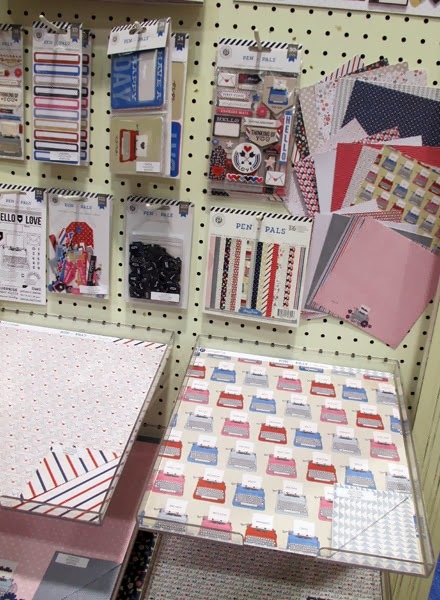 Their collections also gear towards making Project Life a ton easier. 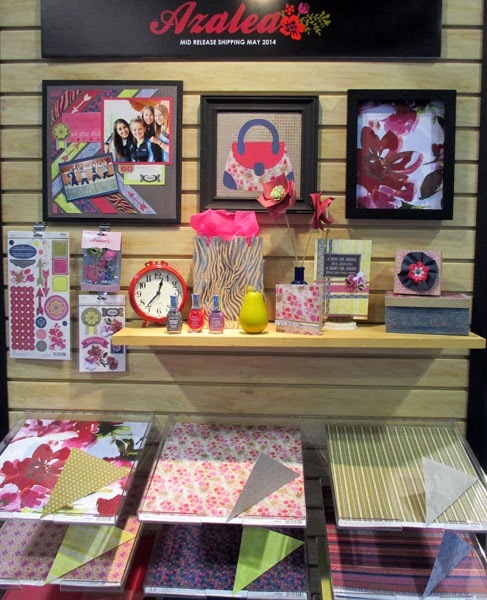 One thing that was a huge hit at the show, were the punch boards, esp the Flower Punch Boards. 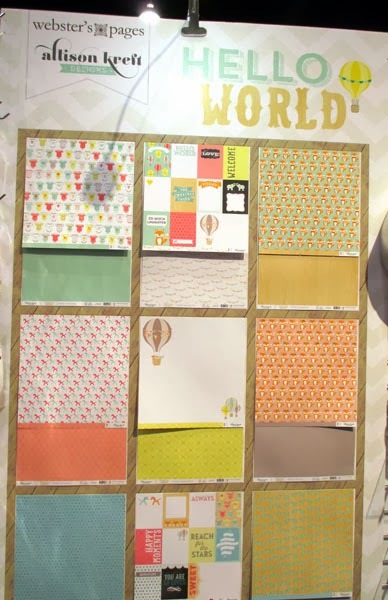 I've used their envelope making boards before and loved how easy their were. 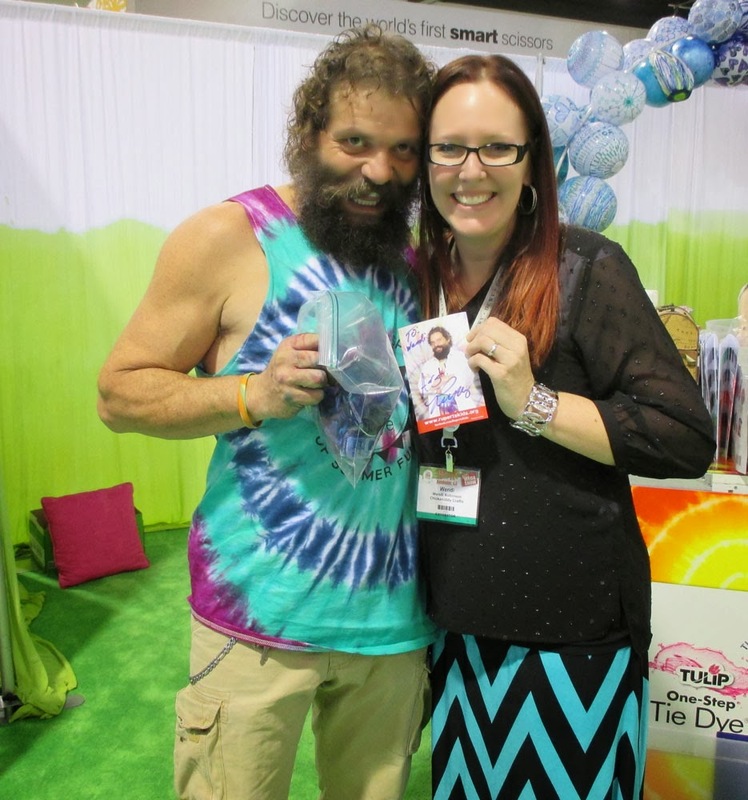 And if that wasn't enough... for all you Survivor fans, Ruppert from Survivor was there doing a make and take with Tie Dying. So I had the privilege of tie-dying a tank top with Ruppert, who by the way, is extremely one of the sweetest, nicest guys ever!!! It's Wendi here and I had the amazing opportunity to go to Winter CHA in Anaheim.. I've been before, but this time I was able to be there for 3 days and had a blast. If you haven't gone before, there is a TON to look at. It's 3-4 full convention sized halls full of crafting and supplies.. it is AMAZING and a bit overwhelming at the same time because there is soooo much to see. 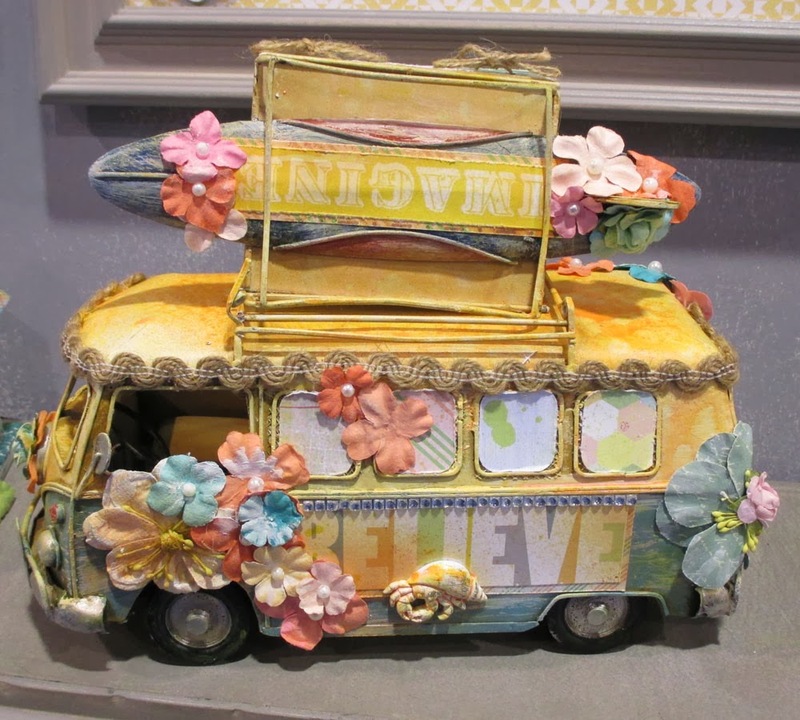 Here is a run down of what I saw and fell in love with while I was there... I'll go in ABC order. 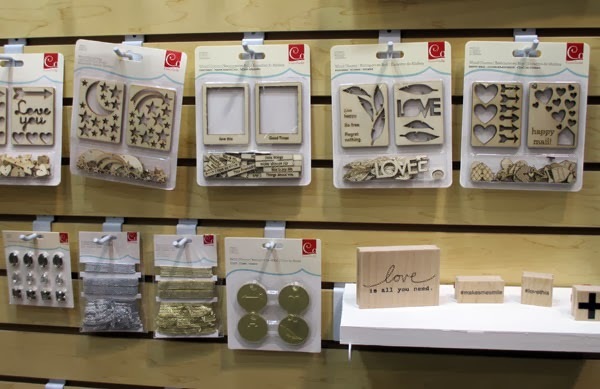 Dear Lizzy collection: adorable embellies, the stamp set was too cute, and check out the wooden heart "paper"- how fun would that be to add misting, cut apart or make a home decor project with. I swooned over the new Molly and Max collection since it's aimed towards tweens- not too baby for kid photos, but not too grown up for teenager photos. 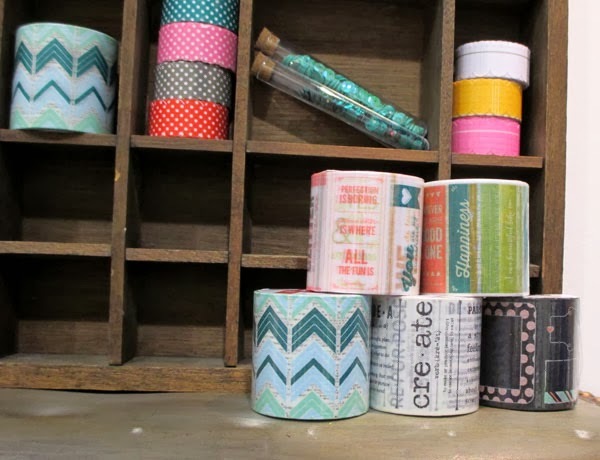 Both collections have fun patterns. 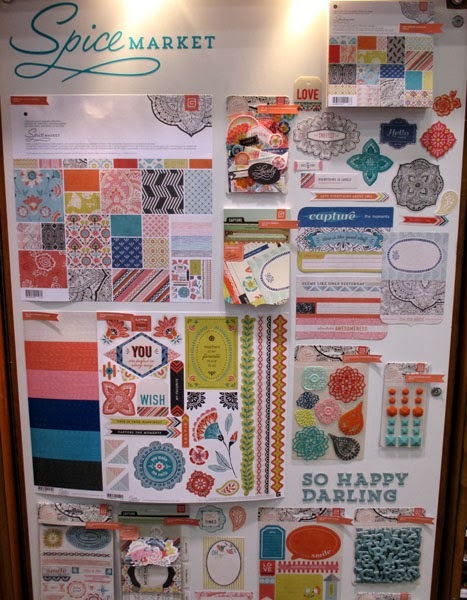 I was really drawn to the fun, bright colors of the Spice Market collection, perfect for spring and summer photos. 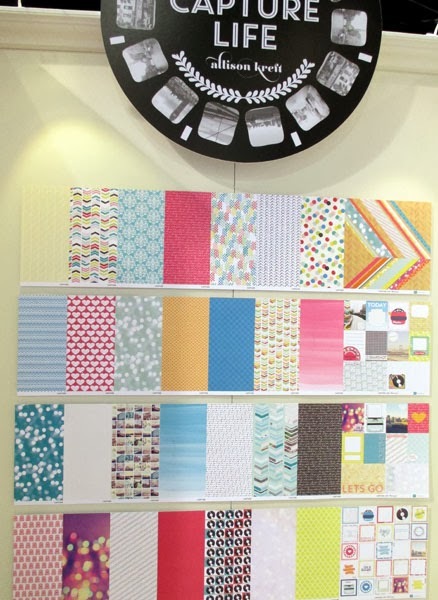 A new company that is in the scrapbook industry with two new collections. The enamel hearts from each lines are so delicious. 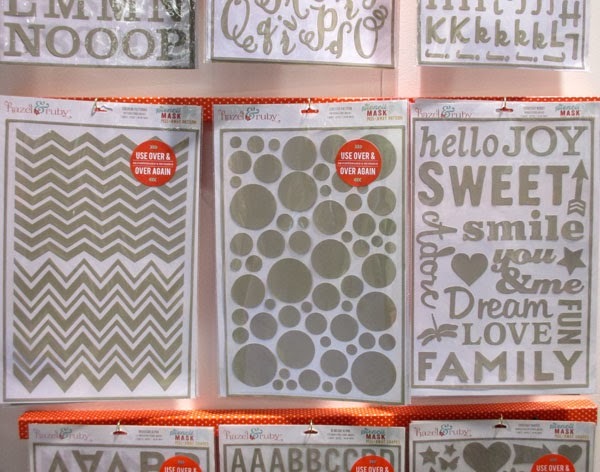 They also have gold and silver specialty papers that can be run through any die cut machine or embosser. 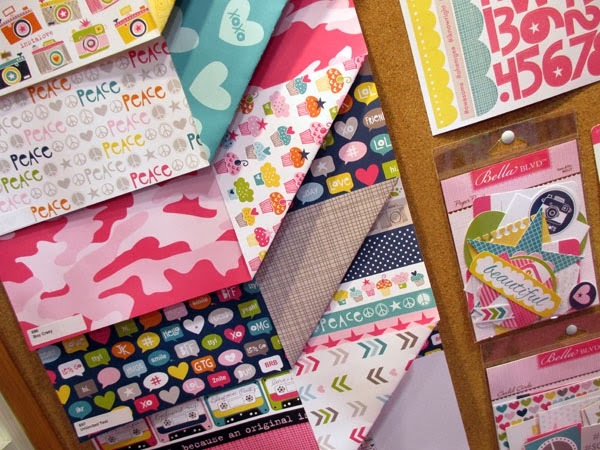 Always has such sweet collections and great embellishments that coordinate, I'm a huge fan of their chipboard pieces. 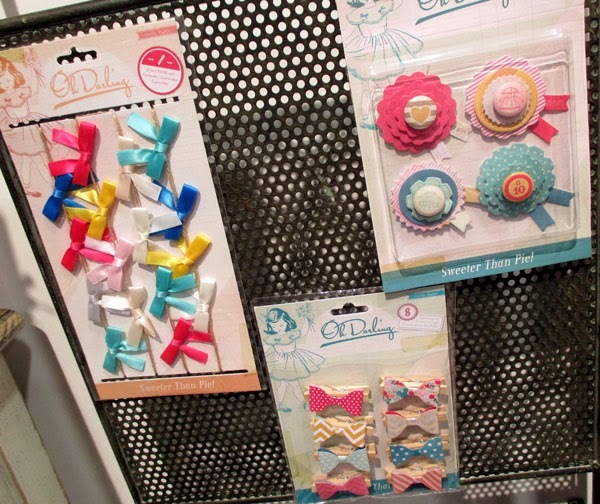 How cute are these little bow embellies? I might even use them and attach them to my little girl's hair clips. Always has great displays in their booth. 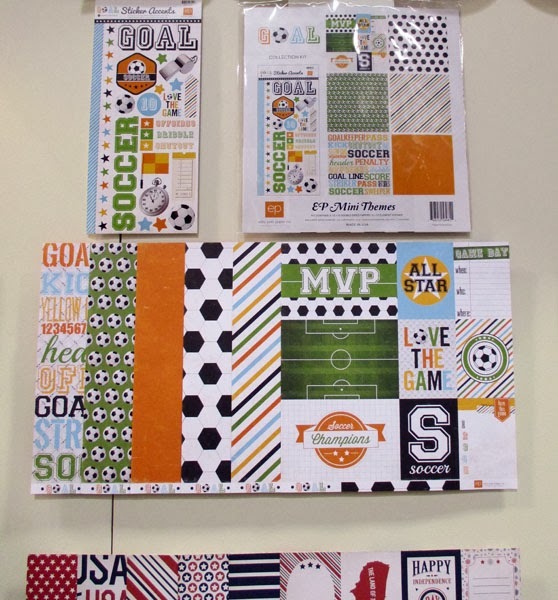 Check out this layers HUGE scrapbook layout. 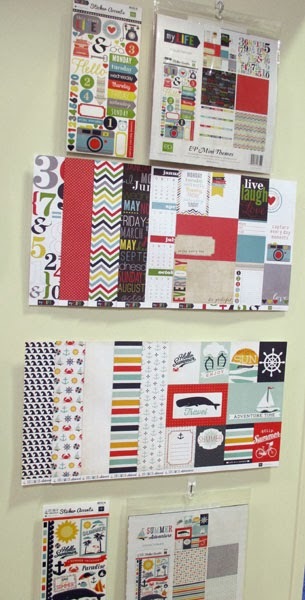 As always, they have TONS of new Mat Stacks coming out, in almost every theme, color scheme, textures, or holiday line you can think of. Always have great collections packs, along with some of their mini lines that are coming out. 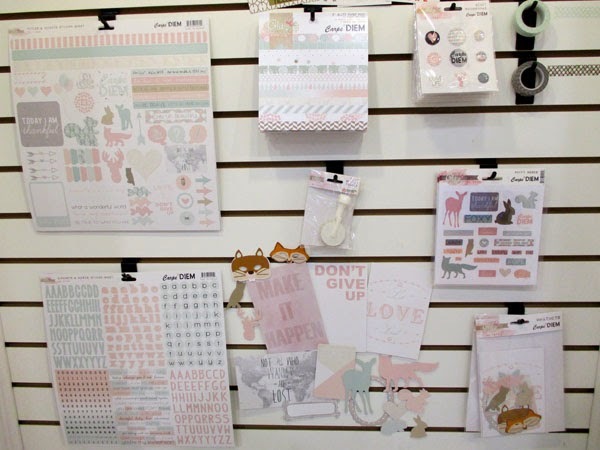 Did you know that Echo Park releases a new collection every month?? That is so cool, and always gives me something new to look forward to. Always one of my favorite companies with ubber cool embellies. 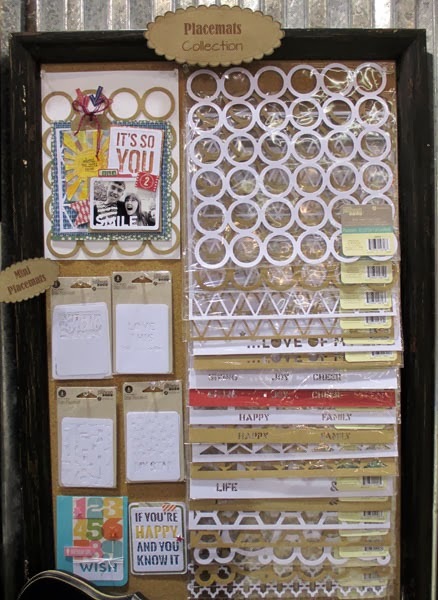 Washi tape, giant rhinestones and some fun puffy stickers this year. The Carpe Diem has some little woodland creatures in it.. can you say, What Does the Fox Say? 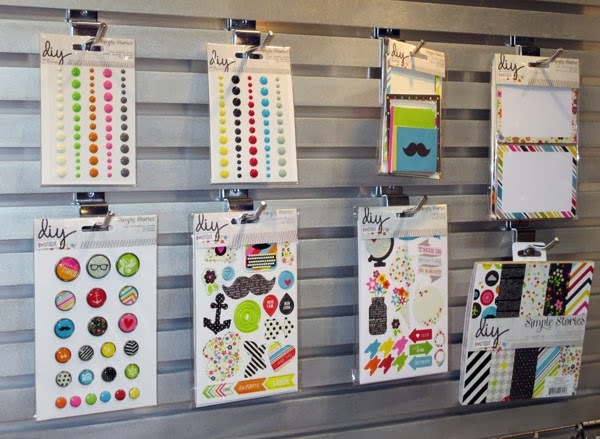 A newer company out of Utah, the owners are Jayme and Lindsey (who previously was involved with Cosmo Cricket). 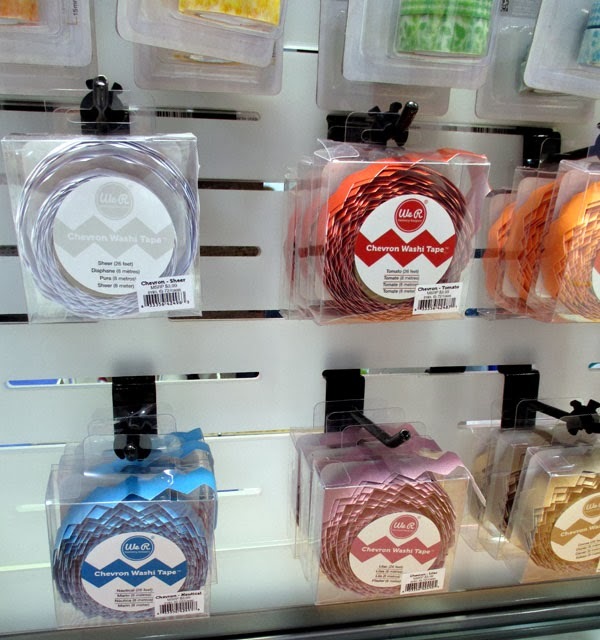 They have some fresh and new creative products. 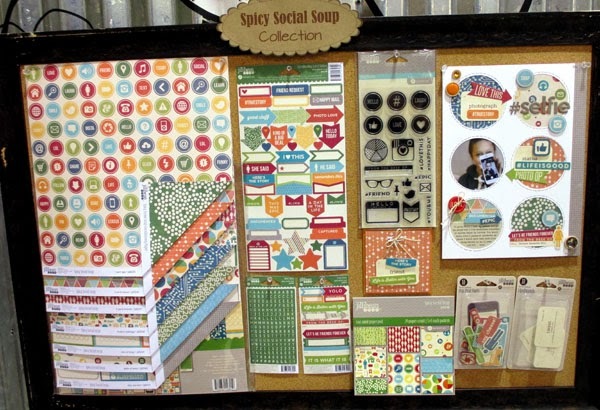 I always love to see what new soup names they are going to come out with to name their new collections..
Spicy Social Soup has lots of fun embellies, along with a stamp on an instagram camera..
Soooooo that's what I have for you today. I still have M-Z to get through next time. 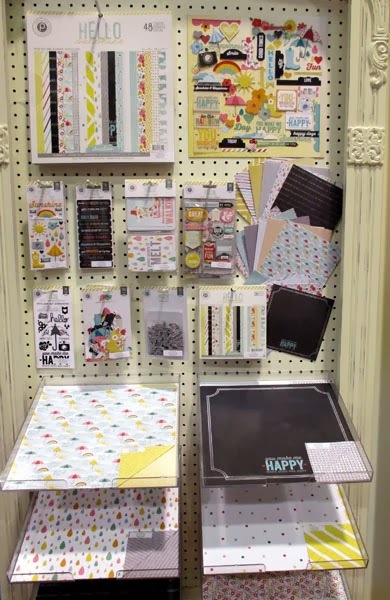 There is a TON of cool new product, papers and embellishments calling my name.